We are the leading manufacturers and exporter of Breeze Shield and our product is made of good quality. We are one of the leading manufacturer as well as suppliers of Breeze Shield Cabin. This particular equipment finds its use in various large scale industrial operations. 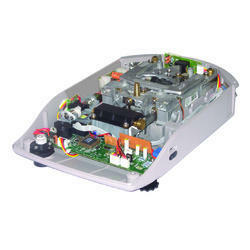 This product is used to provide adequate voltages in case of power failures. Clients can have this product at an affordable price. Contech provides glass breeze shield as standard with EMFC balances having an accuracy of 1mg or better to shield the weighing area from the breeze. For balances with accuracy less than 1mg, breeze shield can be provided as optional. Different types of Breeze Shields are available based on the model and application. 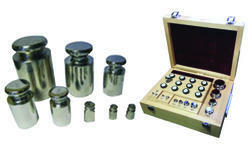 We are the leading manufacturers and exporter of Motorized Calibration and our product is made of good quality. Fully automatic calibration accomplished by a smooth noiseless motor is driven standard weight inside the balance eliminating weight maintenance. Accurately machined stainless steel standard weight is used for the purpose. Any tolerance in the weight machining is corrected through software. Balance can be programmed to initiate the motorized calibration process everytime when it is switched ON, change in the ambient temperature, at a preset time to recalibrate the balance. 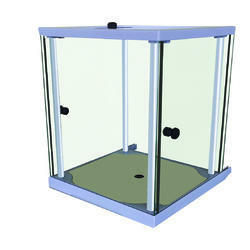 We are the leading manufacturers and exporter of Balancing Scales and our product is made of good quality. 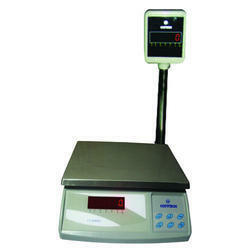 The scales, offered by us, are commonly used for weighing different commodities in various grocery and provision shops. These scales are procured from highly reliable vendors to ensure high standards of quality. We are the leading manufacturers and exporter of Standard Weights and our product is made of good quality. Looking for Balance Accessories ?